Born in Northumberland, as a child Graham was always interested in nature and landscapes. After a working career in engineering and manufacturing he moved to the island, changed direction and began to work in wood, initially as a wood turner. ​Inspired by marine, wildlife, corals and shells he began to experiment with shape, form, colour and texture. This required new skills and ideas that were combined with turned forms to produce a range of sculptural pieces. 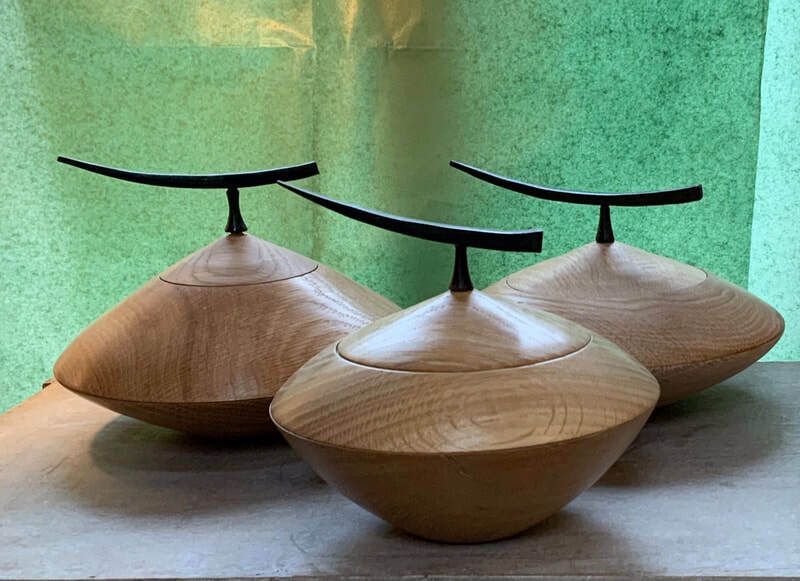 Now well established at Grenaby Studios he produces a range of work including turned and textured bowls, sculptures and hand made furniture.